While hundreds of people have delicious recipes for chicken, Colonel Sanders was convinced he could make money from his recipe. At the age of 65, he decided to do something with it. He walked into a restaurant and told the owner that he would gladly give him his secret recipe for nothing if he would share the profits. A quick no was all he got. Now, if Colonel Sanders 'expected' failure, he would've quit right then and there, saying to himself, "Well...it was worth a try." While that's what many do, not Colonel Sanders. Focusing on a positive outcome, he marched right into the next restaurant...and, just as quickly, got his second rejection. Before I tell you how many rejections he heard let me ask you this. How many could you handle — 5 ...10... 50...100? Do you have what it takes to become optimistic after 500 people have looked you straight in the eye and said, "NO"? Could you keep on going after hearing 1000 NO's? 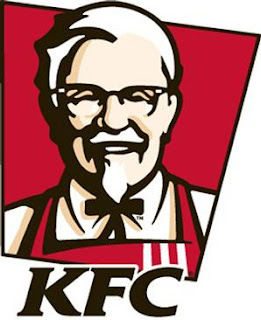 Colonel Sanders could! In fact he continued, undaunted, until person number 1,009 finally said, "YES". That's correct; 1,008 people said NO. And, if that is what it takes- then that is what it takes, and I will NOT stop, because that is how much I believe in me and my new business! I have got to remember that it takes time, and things may not transpire the way you had hoped- but they will transpire in time! So, if you are ever discouraged, just remember Colonel Sanders story and how KFC came to be:) This can apply in any area- and not just business. So, make your dreams real! 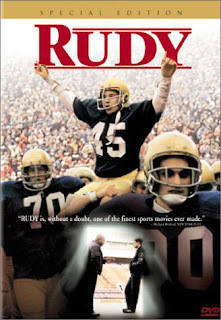 Rudy Ruettiger was one of the many people in "You've Got to Read This Book". Off the top of my head I can't recall which book was life-altering for him, but I do remember a quote he gave in his short essay- that could inspire anyone- especially coming from a man who has been there and done what was thought to be the impossible. So, there you have it. Straight from the mouth of Rudy Ruettiger! So, what are you waiting for?? Swim against that stream, fight against those odds, and MOST of all believe that YOU can be whatever YOU want to be.